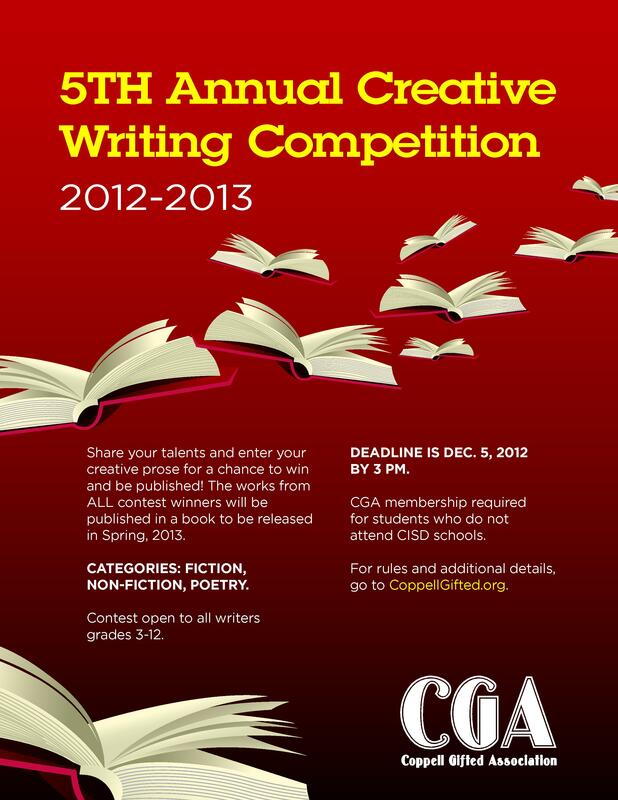 The Annual Creative Writing Competition deadline is December 5, 2012 at 3pm. Spend the next few days writing your thoughts about the past, hopes for the future, dreams of a different place. Perhaps you have a poem in your heart — or a story of loss? The competition is open to all CISD students in grades 3-12. Students outside CISD who are members of CGA can also join in the fun. Winners will be published in a book that will be released in Spring 2013. Questions? Please contact Elizabeth Chappell.